Click logo to learn more about this year's program. The City of Riverside is distinguished from many other communities by its unique setting among surrounding open space. 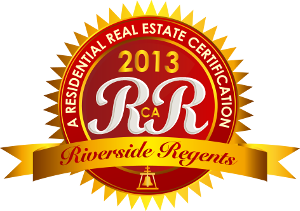 The Santa River corridor to the north creates a distinct boundary between Riverside and its neighbors. In addition to providing recreational opportunities, the river provides habitat for important wildlife and native plants species. Adjoining the Santa River corridor is Mount Rubidoux offering an extraordinary urban open space feature. The backbone of the City's trails master plan links Sycamore Canyon Park with the Alessandro Arroyo and points south out into the County. This segment is a part of the City’s primary loop trail and is currently shown meandering through the Mission Grove Area. 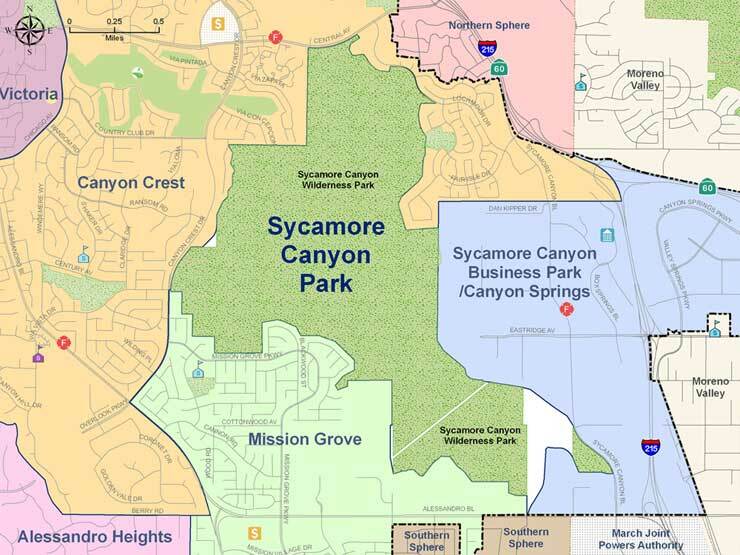 The park, bounded by Central Avenue, Alessandro Boulevard and the I215 freeway is adjacent to the Canyon Crest, Mission Grove, and Sycamore Canyon Springs neighborhoods.